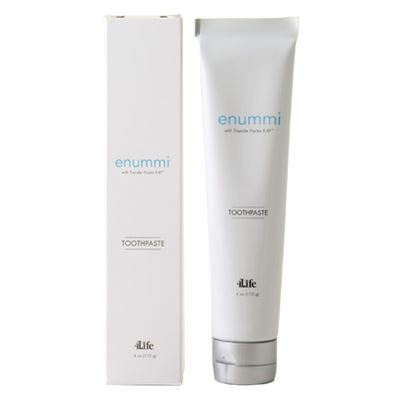 enummi® Toothpaste is a gentle, fluoride-free formula that cleanses teeth without harsh, abrasive agents, freshens breath, and safely whitens for a cleaner, brighter smile. This great-tasting formula contains a refreshing mint flavor and no sugar. Daily fluoride-free support for cleaner, brighter smile. Apply a small amount of paste to toothbrush and brush thorougly two or more times daily or after each meal.